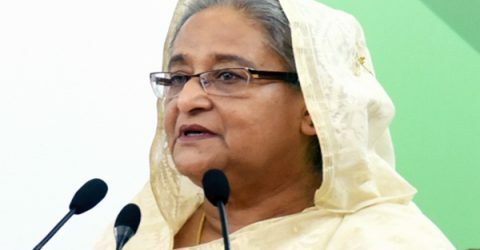 DHAKA -Prime Minister Sheikh Hasina today inaugurated the Hajj Program of 2018 (1439 Hijri) urging everybody to remain careful of stopping spreading confusion about Islam. “We must keep religion above all in every sphere of our life and we have to uphold the main teachings of Islam before the people,” she said. community across the world, she said. Minister for Religious Affairs Matiur Rahman presided over the inauguration of the Hajj Program of 2018 (1439 Hijri) at Ashkona Hajj Camp here today. 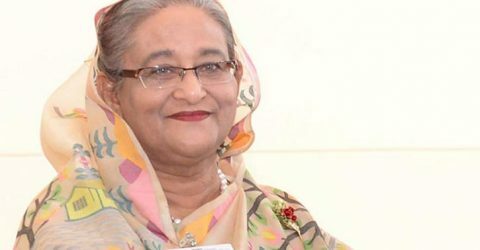 Sheikh Hasina said since her return to home in 1981 from exile she has been making constant efforts for welfare of the people and materialize the dream of Bangabandhu to build a poverty and hunger free country. Minister for Civil Aviation and Tourism AKM Shajahan Kamal, chairman of the Parliamentary Standing Committee on Ministry of Religious Affairs Bazlul Haque Harun, Sahara Khatun, MP, Charge-d’ Affaires of Saudi embassy in Dhaka Amir Omar Salem were present as special guests. Secretary of the Ministry of Religious Affairs Anisur Rahman gave welcome address and senior Pesh Imam of Baitul Mokarram Mosque Moulana Mizanur Rahman conducted the prayers. Prime Minister Sheikh Hasina exchanged pleasantries with the pilgrims and wished their safe return after performing all the Hajj rituals. 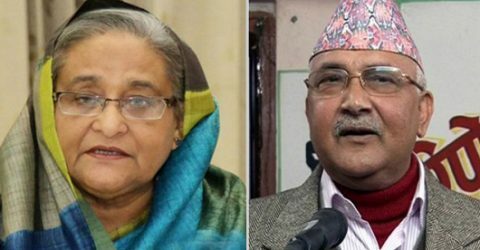 The prime minister requested the Hajjis to offer prayers for Father of the Nation Bangabandhu Sheikh Mujibur Rahman, his family members and others who were brutally killed on the fateful night of August 15, 1975. 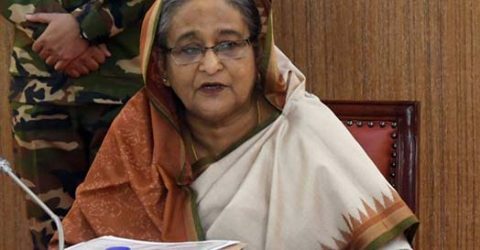 Sheikh Hasina said after independence Bangabandhu had taken a unique arrangement for sending the pilgrims to Saudi Arabia for performing Hajj on sea route by Hijbul Bahar as well as on air route. Though, Saudi Arabia didn’t give recognition to Bangladesh at that time, but they liked Bangabandhu and Bangladesh’s first Hajj mission began at his request. 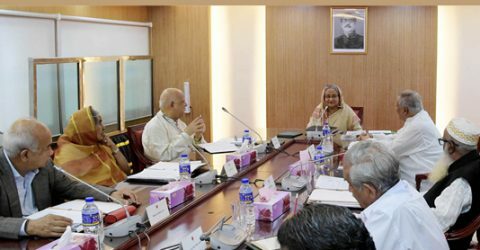 Sheikh Hasina said her government is trying its best to resolve the problems relating to Hajj management system saying the situation was better in the last few years. “I myself wrote to Saudi King many times requesting him to look into those difficulties,” she said adding that the Saudi government took many measures in response to those requests to facilitate the pilgrims. 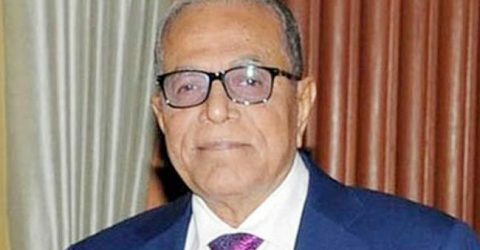 Pointing out the relations between Bangladesh and other Muslim countries, the prime minister said Bangladesh became a member of the OIC during the tenure of Bangabandhu. Bangabandhu established the Madrasa Education Board and prohibited wine, gambling and horserace and introduced the provision of Azan in the state media. 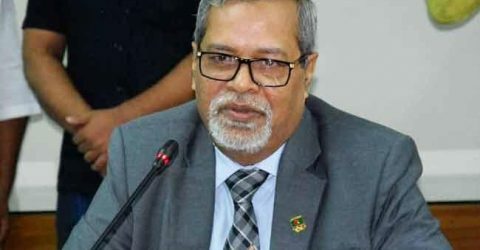 The present government is following the footstep of Bangabandhu, she said adding that the government has shifted the Hajj Office to Mecca from Jeddah and hired a plaza in the terminal for convenience of the pilgrims. Six aircraft for the national flag carrier were procured for transportation of the pilgrims while two more will join the fleet very soon, she said urging the Hajjis to follow the instructions mentioned in the booklet during their stay in Saudi Arabia for their safety and convenience. 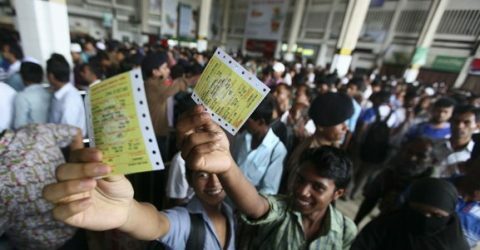 A total of 1,26,798 Muslims from Bangladesh would perform Hajj this year including 6,798 under government management and first flight of pilgrims is scheduled to leave Dhaka Saturday next.